This week boasts some big Blu-ray and DVD releases, but none is quite as thrilling as Jack Reacher, an action-filled thriller about an ex-military cop persuing a killer and finding trouble he doesn't anticipate. The action comedy did well at the box office and is headed to Blu-ray tomorrow in a set that comes chock-full of bonus features. To celebrate, Paramount Home Entertainment is graciously giving away a Blu-ray copy of the film that has been signed by Tom Cruise himself. You can check out that beauty, below. If you haven’t caught the film, it stars Cruise, along with an all-star but random cast that includes former Bond girl Rosamund Pike and Werner Herzog. 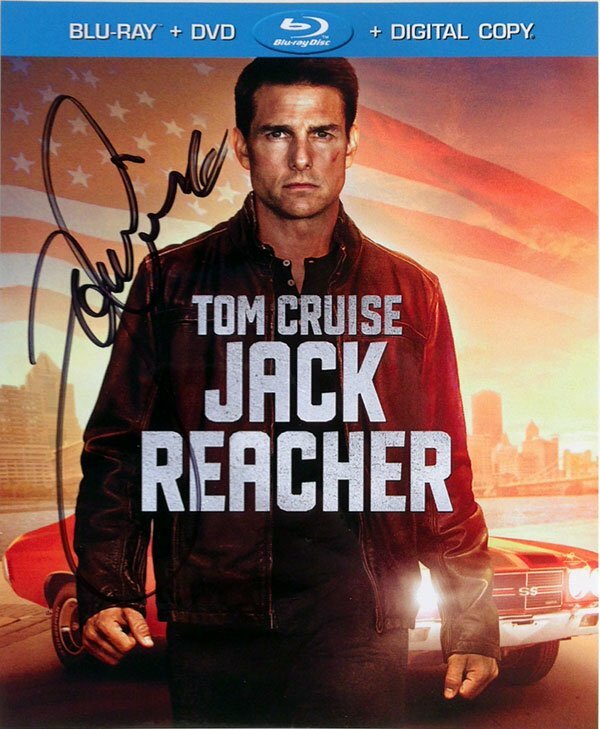 When the film takes a step away from the action it is often busy exploring relationships of different sorts and overall, this makes Reacher both a fun and satisfying film, and one worth owning, especially with a shiny signature on the front cover. If you aren’t feeling lucky, copies can be pre-ordered over at Amazon, right now. Entering is easy. Just click on over to our Facebook Giveaway Post, "Like" our page if you haven't already, and then leave a comment on the page telling us what movie boasts Tom Cruise in his best action-oriented role. The giveaway ends at 11 p.m. ET on Wednesday, May 8. If you enter, please make sure we can contact you via Facebook message. If you have it set to where we can't contact you, your prize will go to somebody else.